Between the Heaphy and Abel Tasman lies an area of mountains that provide both easy access for families and beginners and also back-country challenges for more experienced trampers. 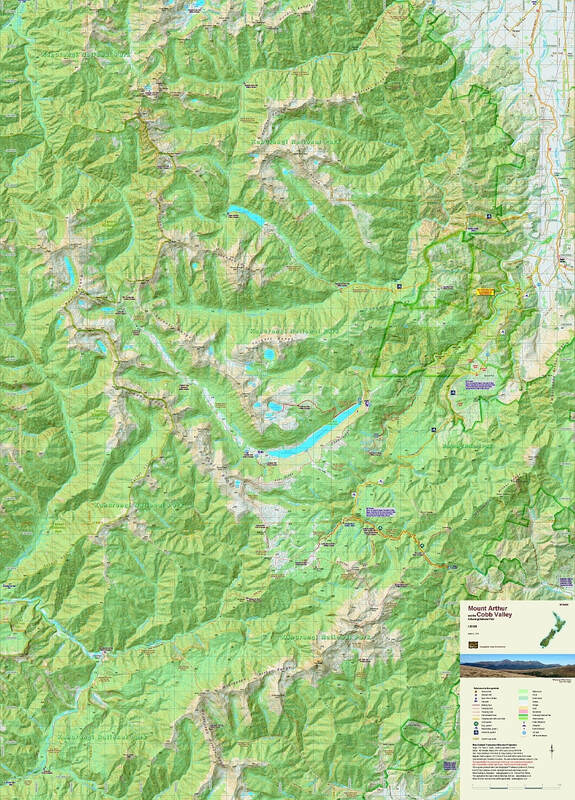 The map covers from Boulder Lake in the north to the Baton Saddle in the south, and from the Aorere and Karamea Rivers in the west to the Takaka Valley in the East, including the popular Mount Arthur Tablelands and the Cobb Valley in Kahurangi National Park. 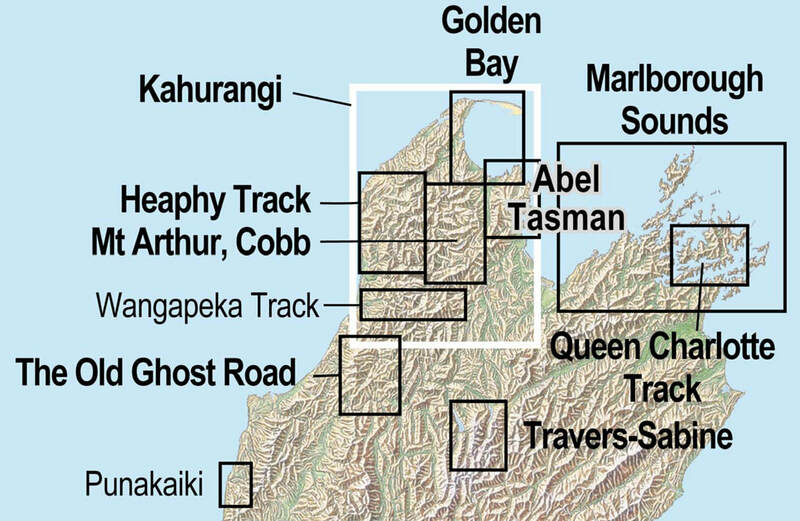 There are small overlaps to the adjacent maps: Heaphy in the west, Golden Bay in the north, and Abel Tasman in the east. This 2018 edition has much improved the track positions, updated hut detail, and added the boundaries of Kahurangi National Park and other reserves.